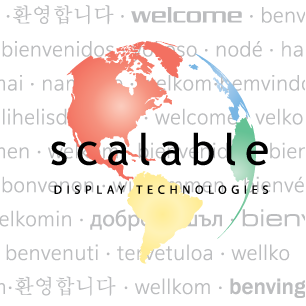 Scalable Display Technologies continues to expand its global presence by opening a Shanghai Rep office in 2019. Demand for large projection systems and particularly themed attractions has been a driving force behind Scalable’s growth in the Asian market. Zui Tao, formerly a member of the Scalable engineering team, has taken the reigns of managing and launching the new office. “This is an exciting step for both Scalable and myself. We have been working with our exclusive distributor Wincomn in the Chinese market for many years and the growth of the market has proven its potential. The appreciation we have received from our customers here in China give us great confidence to better serve the market together with Wincomn” says Tao. Scalable and Wincomn recently exhibited together at China Attraction Expo 2019 with great response from show attendees. There are many existing solutions in the Chinese market, so educating customers on the value of automatic calibration and the power of Scalable software is fundamental. “We challenge people to think beyond just warp & blend”, says Director of Global Accounts James Pietsch, “Scalable’s software is about taking a wholistic view of the display, not only warping the pixels and blending them together, but color calibrating them, brightness matching, image masking; ultimately our responsibility is to make sure the display always looks its best, and in a way that’s simple and straightforward to maintain”. Having a local presence ensures that both channel partners and end-customers are getting the right message. “We aim to make these large complex screens more accessible to system integrators by using Scalable software”- says Zui Tao – “We are already realizing the growth potential of the market and look forward to the year ahead”. About Scalable Display Technologies Inc. – Scalable Display Technologies is the market leader on automatic, camera-based projection software, specialized in dome projection, curved screens and simulation applications. About Beijing Wincomn Technology Co. Ltd. – Wincomn has focused on high-end A/V applications, and is dedicated to providing world leading products and software/hardware solutions for intelligent meeting/control room, cultural tourism and simulation.